The Swedish-Norwegian quintet Atomic has held a position at the forefront of the Scandinavian and European contemporary jazz scene for nearly 17 years. Over this time the band has consistently delved ever-more deeply into its own expressive idiom, while remaining inquisitive, vital and full of energy. Few can combine jazz, improvisation and ideas from classical contemporary music in as spontaneous and memorable a way as Atomic. Naturally their musical interplay is perfectly integrated after 17 years, but the fact that they have also managed to keep their joy of playing together intact is is very rare. All this time Håvard Wiik and Fredrik Ljungkvist have been responsible for all the compositions, but on the upcoming album Pet Variations (release date November 2, 2019) Atomic will play compositions by by Edgar Varese, Olivier Messiaen, Steve Lacy, Jimmy Giuffre, Jan Garbarek and Brian Wilson – to mention a few. 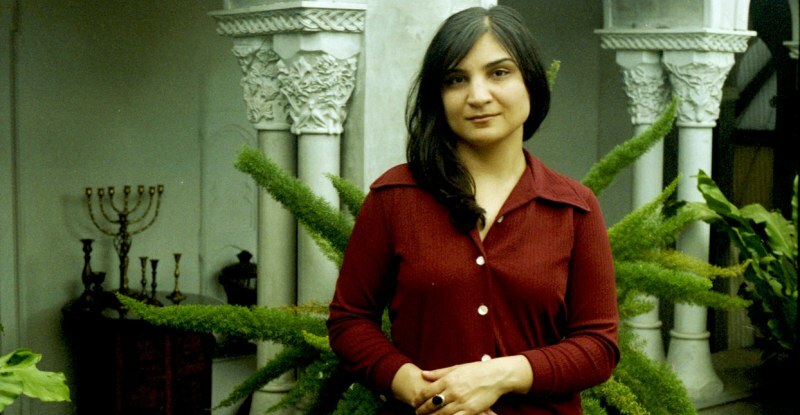 Sarah Davachi (b. 1987, Calgary, Canada) holds a bachelor’s degree in philosophy from the University of Calgary, and a master’s degree in electronic music and recording media from Mills College in Oakland, California where she studied with Maggi Payne, James Fei, and David Bernstein. As a composer and performer of electroacoustic music, Davachi’s projects are primarily concerned with disclosing the delicate psychoacoustics of intimate aural spaces, utilizing extended durations and simple harmonic structures that emphasize subtle variations in overtone complexity, temperament and intonation, and natural resonances. The instrumentation she employs is varied, including analog synthesizers, piano, electric organ, pipe and reed organ, voice, tape-replay samplers, orchestral strings, and woodwinds, with mutual idioms often layered in textural and timbral counterpoint. Similarly informed by minimalist tenets of the 1960s and 1970s, baroque leanings toward slow-moving chordal suspensions, and experimental production practices of the studio environment, in her sound is manifest an experience that lessens apprehension of consonance and dissonance in likeness of the familiar and the distant. Her work as a researcher considers aspects of organology and hermeneutics and has been published and presented in North America and Europe. Between 2007 and 2017, Davachi also had the unique opportunity to work for the National Music Centre in Canada as an interpreter and content developer of their collection of acoustic and electronic keyboard instruments. She has held artist residencies at The Banff Centre for the Arts (Banff, Canada), STEIM (Amsterdam, Netherlands), WORM (Rotterdam, Netherlands), EMS (Stockholm, Sweden), OBORO (Montréal, Canada), and MESS (Melbourne, Australia) and is the recipient of grants from the Canada Council for the Arts, the Alberta Foundation for the Arts, and SOCAN. In addition to her recorded output, including 2018’s Gave in Rest​ on Ba Da Bing and Let Night Come On Bells End The Day on Recital and 2017’s All My Circles Run on Students of Decay, Davachi has toured extensively across the globe and has shared the stage with artists such as Grouper, the London Contemporary Orchestra, Arnold Dreyblatt, Donald Buchla, Aki Onda, ​Ariel Kalma, Alessandro Cortini, Oren Ambarchi, Ian William Craig, Kara-lis Coverdale, Aaron Dilloway, Robert Aiki Aubrey Lowe, Ellen Arkbro, Loren Connors, and filmmaker Paul Clipson. She is currently a doctoral student in musicology at UCLA – where she works on the aesthetic phenomenology of musical instruments and timbre in popular, experimental, and early music – and is based in Los Angeles, California.